Fillocks, fiddlers and others of that band: research blog on the early history of the violin in Scotland. Having just been awarded funding from the SGSAH to set up a PhD training workshop on research blogging in the arts and humanities, I think it’s about time I started posting in this blog! Expect to see more regular posting over the next few months. 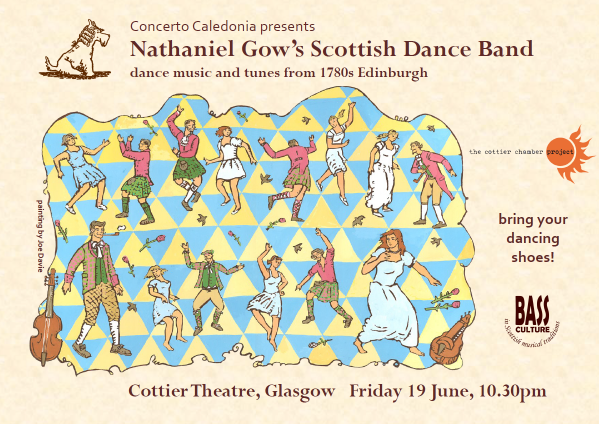 Over the last month, I’ve been playing in Concerto Caledonia’s new project Nathaniel Gow’s Scottish Dance Band, an exciting collective of trad musicians and early music specialists, playing on period instruments and performing music mostly taken from late 18th-century Scottish dance music collections. 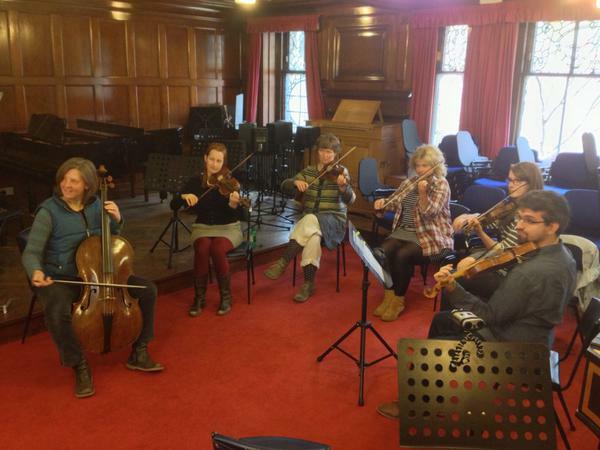 This has emerged as an output of the Glasgow University-led research project, Bass Culture in Scottish Musical Traditions, which explores the harmonic basis of Scottish traditional music. 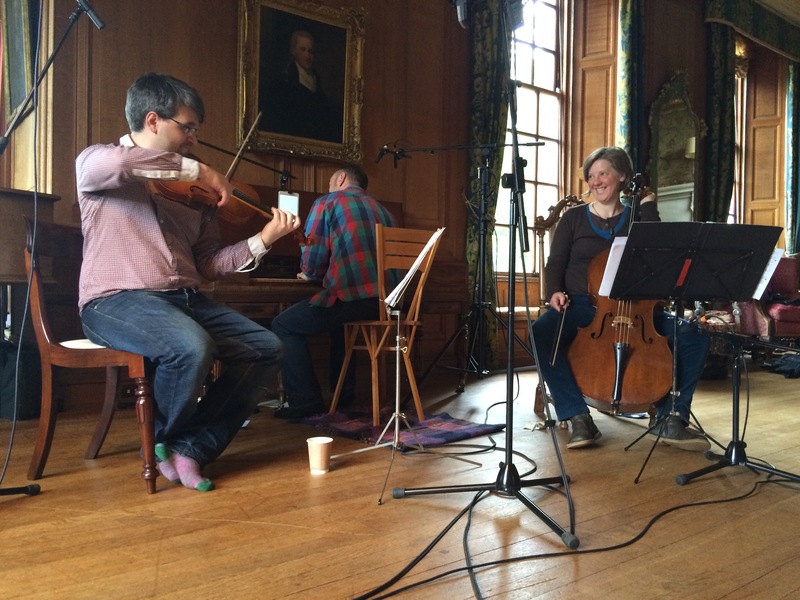 As well as overseeing the project, David McGuinness has been building a massive database and digitisation of Scottish printed sources of fiddle music from 1750-1850 (due to go ‘live’ at hms.scot in October I believe). These represent a substantial amount of (often overlooked) material, and even the more familiar tunes are very different to the versions played today. We’ve been exploring a range of different approaches, styles, and instrumental combinations (including five fiddles, pipes, octave flute, cello and fortepiano). Our job has been made easier by returning the music (at least in part) to its original function through collaboration with a team of period dancers. The week before, we were at Chrichton Collegiate Church to record the full band. 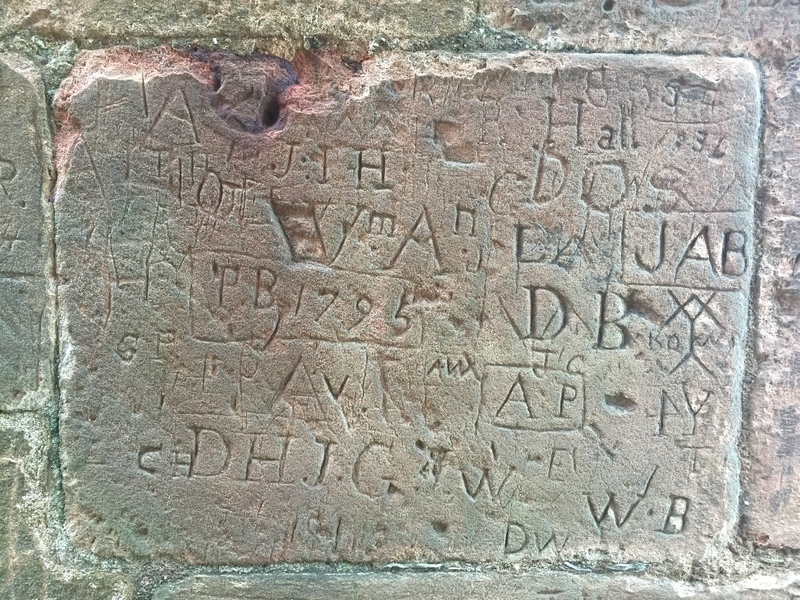 We talked our way into a visit to the impressive remains of Chrichton Castle next door, where Alison and I discovered some graffiti dating from the same period as the sources we were performing from. I think I’ll need to write a separate post all about how we brought together different approaches and playing styles in this project. The so-called ‘historically informed’ approach – using period instruments, original source material, and information on period performance style from iconography and treatises – was brought together with musicians that live and breathe this music as part of a living tradition, mixed in with our collective musical intuition. Often long discussions about the best way to play a tune were immediately answered (and superseded) by the involvement of the dancers, with the steps suited to particular tempi or dotted feel. The main realisation was that this repertoire is so rich that a variety of approaches will work, and that there are endless possibilities with performing these tunes.